UNISON’s Edinburgh branch is warning that cuts to the council’s Private Rented Service Team could threaten safer housing for private tenants and lose the council hundreds of thousands in income. The team ensures private landlords meet safety standards, especially in relation to houses of multiple occupation (HMO). They work closely with owners, agents and architects at the planning stages to ensure buildings comply with HMO standards. Their work with public safety and the fire service is also key to ensuring that houses of multiple occupation are safe. Registered and unregistered lets and unlicensed HMO properties are investigated and reported on. Landlords pay £55 to register and £11 for each property and with the number of registered landlords going up from 26,000 to 42,000 since 2008, income for the council is substantial – £9.7 million since 2011. But it could be more. 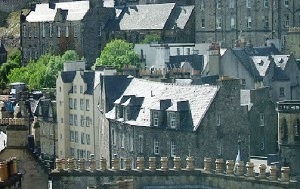 It is suspected that there may be thousands of unregistered landlords in Edinburgh and cuts in staffing will hinder the ability to track these down, with all that means for protection for tenants and income for the council. A UNISON Edinburgh spokesperson said: “The team has been working understaffed and under budget for years while workloads continue to increase. PRS staff have identified where savings could be made and where further revenue could be obtained, whilst continuing to provide a good service to landlords, agents, tenants and other stakeholders but this has been ignored.